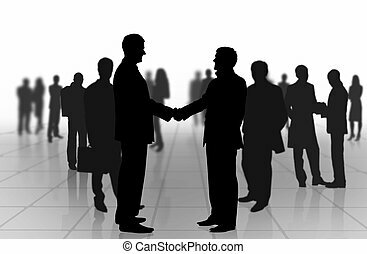 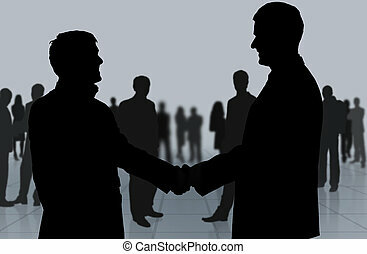 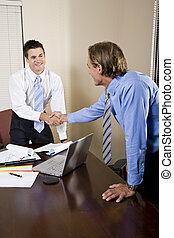 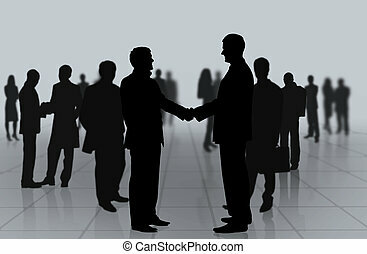 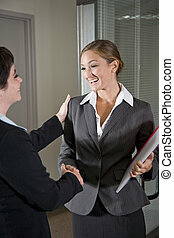 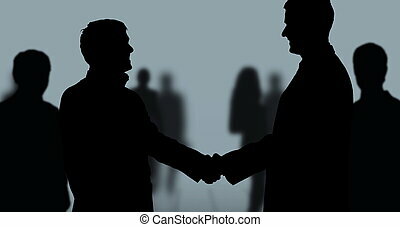 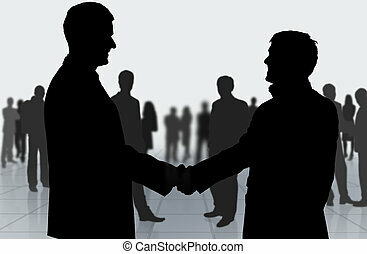 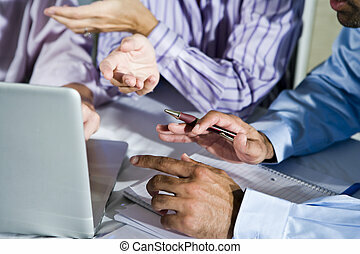 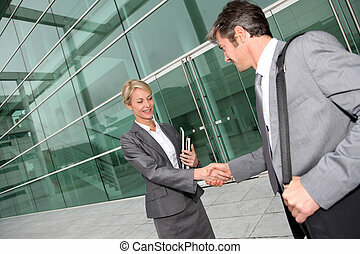 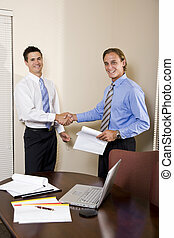 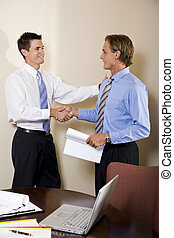 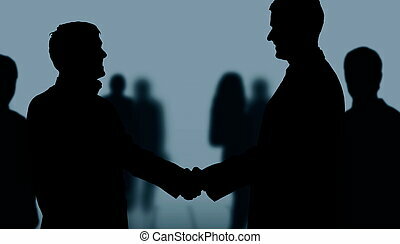 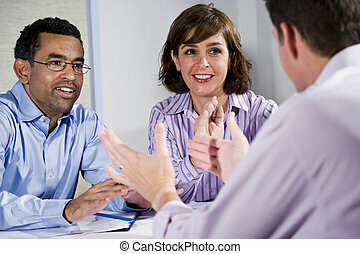 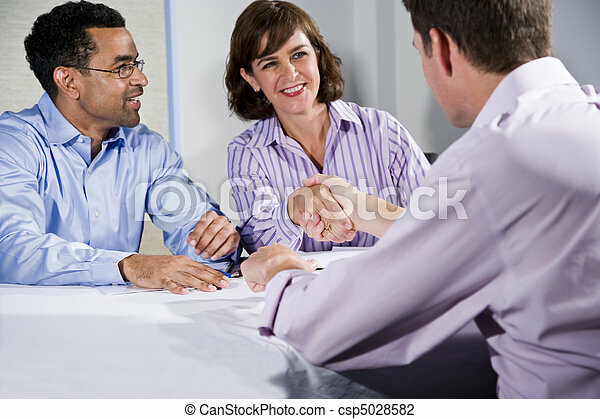 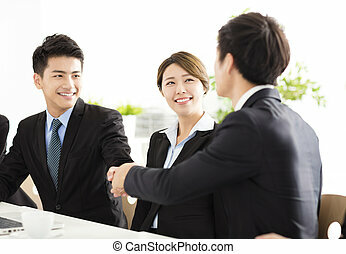 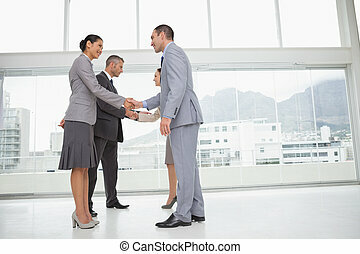 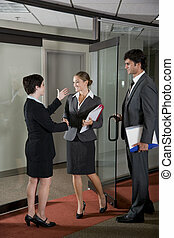 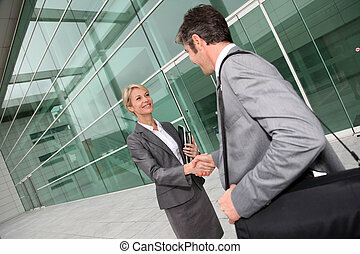 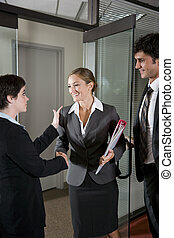 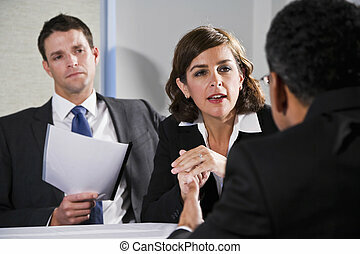 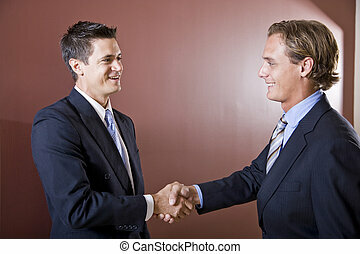 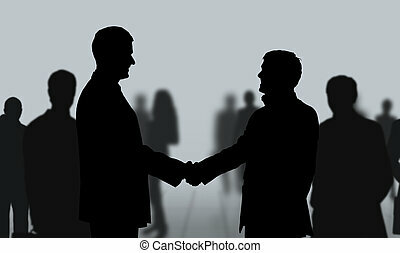 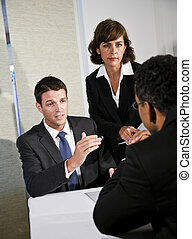 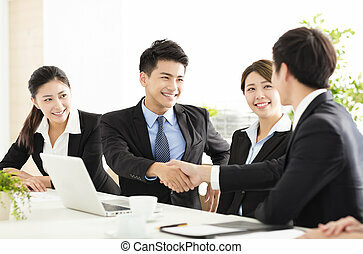 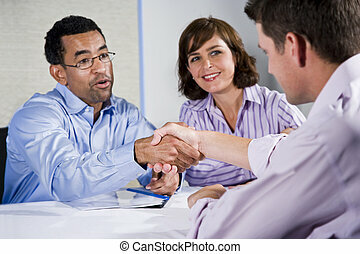 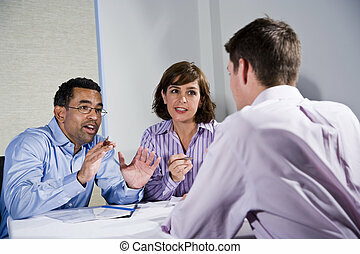 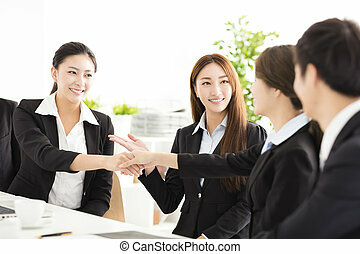 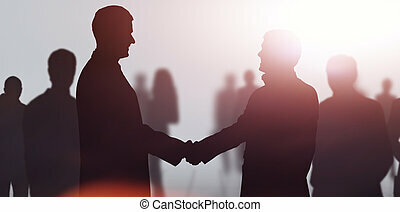 Three business people meeting, men shaking hands. 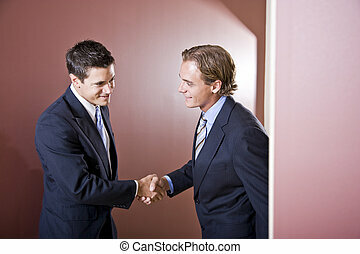 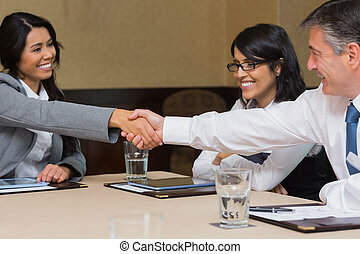 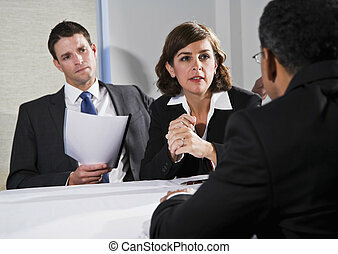 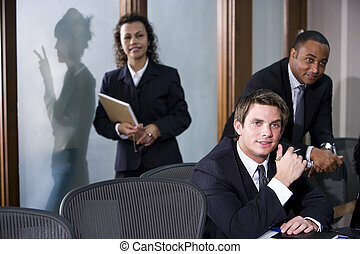 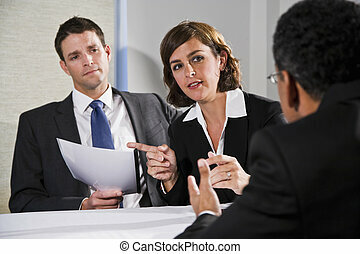 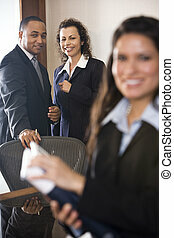 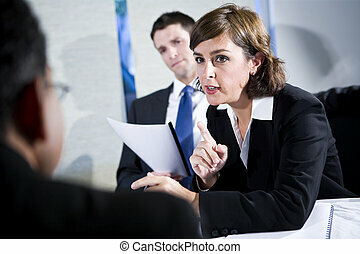 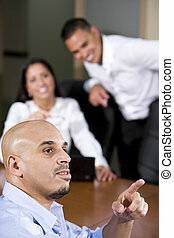 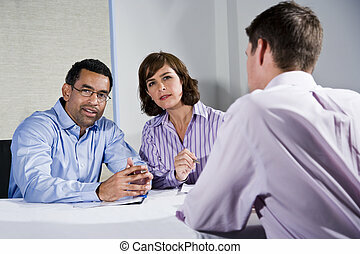 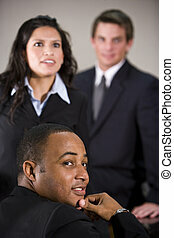 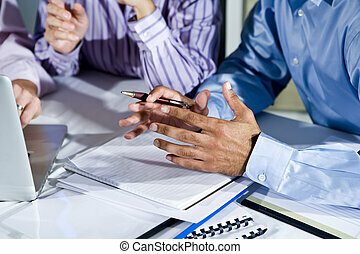 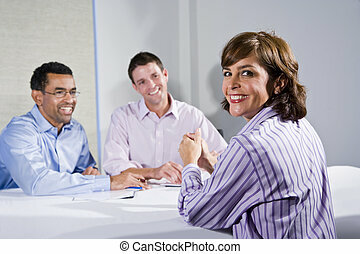 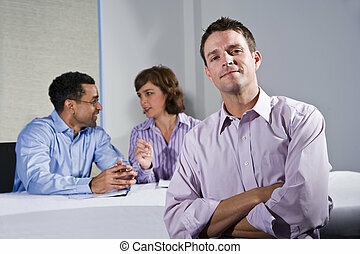 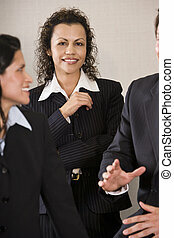 Multiracial business meeting in boardroom, shaking hands. 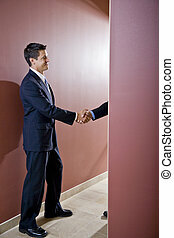 shallow dof, focus on handshake.